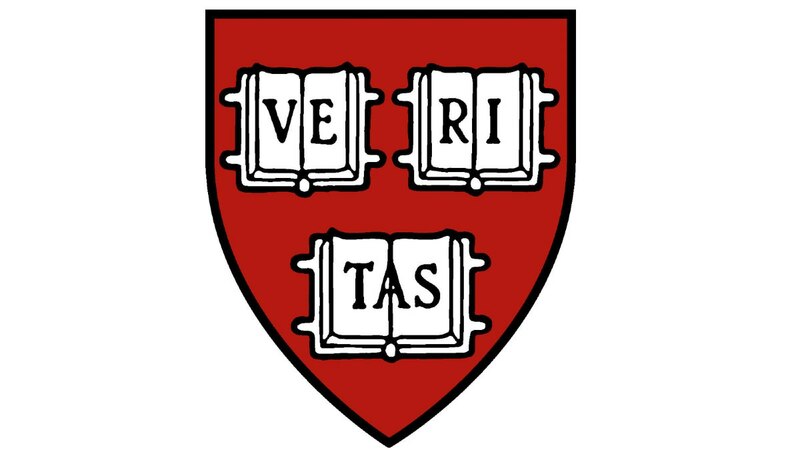 Harvard College will implement the sanctions on student membership in unrecognized single-gender social organizations (USGSOs: the final clubs, fraternities, and sororities) first announced by President Drew Faust and dean of Harvard College Rakesh Khurana in May 2016 . The news came at the beginning of the Faculty of Arts and Sciences (FAS) meeting this afternoon in University Hall, when Faust read a statement from herself and William F. Lee, senior fellow of the Harvard Corporation. The sanction measures (outlined in Khurana’s letter to Faust here ) mean that students who choose to join a USGSO will not be permitted to hold a position of leadership in recognized student groups and organizations (numbering several hundred); nor to serve as the captain of an athletic team; nor to receive the required endorsement from the dean’s office when applying for certain competitive fellowships, such as Rhodes and Marshall scholarships, which require that institutional endorsement. The sanctions have nominally applied to the current freshmen, but have not taken effect as a practical matter: implementation was suspended this academic year while the FAS undertook protracted, heated discussion about the measures ; and students typically do not join such social organizations until they are sophomores. In announcing their decision today, Faust and Lee are following through on an action they have signaled consistently; during a recent interview , for example, Lee said the issues that had been raised were “less about governance than about getting all the competing interests on campus together to solve the problem,” and emphasized his view that USGSOs represented a problem that had to be addressed. There were sincerely held, differing views about how to address those problems, he said—and when such competing perspectives arose, they had to be worked out through a process of creative conflict and tension to fully air student, faculty, and alumni positions. That has now taken place, he said, making the time ripe to address the underlying problem: “That’s what the president, [FAS] Dean [Michael] Smith, and …Khurana will do.” Today’s announcement, of course, means that the Corporation (of which Faust is a member) is acting directly alongside the president in making the decision. More broadly, alumni who support the USGSOs have made their views known, in person, through correspondence with The Harvard Crimson and this magazine , and, most recently, at the Harvard Alumni Association’s fall meeting. By acting as it has today, the Corporation has, in effect, determined that these matters are part of its core fiduciary responsibilities (much like its attention to the institution’s long-term financial health), and has determined to proceed. Its timing is a statement that whatever the outcome of the search for President Faust’s successor , Harvard’s policy is to discourage undergraduate affiliation with USGSOs—a stance that is not contingent on the administration in Massachusetts Hall. Today President Faust and the Harvard Corporation announced its decision  to affirm the existing 2016 Harvard College policy on unrecognized single-gender social organizations (USGSOs). I write to you now about our way forward. The College will implement the 2016 policy beginning with the Class of 2021, consistent with the recommendations I accepted  last March and with the information I sent to incoming freshmen  this summer. The Office of Student Life (OSL) will oversee the implementation of this policy. As the OSL begins the process of implementation, they will be guided by President Faust’s letter, the Implementation Committee Report, and the College’s longstanding commitment to inclusion and belonging. The OSL will continue to work with the USGSOs that wish to align themselves with the College’s policies. As we move forward, I recognize that there will be many questions about the new policy. Some questions will have clear answers, while others will not, yet we will work to answer these questions together over the coming months. Khurana’s committee on implementing the sanctions recommended last March  that they be enforced by means of a signed code acknowledging awareness of Harvard’s non-discrimination policy together with a pledge affirming “compliance with that policy” for any student who takes a leadership position in a student organization, applies for a sponsored grant or fellowship, or becomes a varsity athletic team captain. Violations of the policy, which prohibit such students from membership in a USGSO for a full year before and a year after taking advantage of one of these “privileges,” would be considered a violation of the honor code and subject to the same disciplinary procedures and punishments that now govern academic cheating, including referral to a group of faculty, students, and administrators known as the Honor Council. Some faculty members who advocated against the sanctions or the proposed ban on USGSO membership (many of whom, it should be noted, are on record as opposing USGSOs, and/or improper behavior conducted on their premises or under their auspices) dislike the oath mechanism, and the conflating of social regulations with governance of academic conduct and regulations. Most of them objected to the constraint on students’ freedom of association. Several of them spoke forcefully about what they saw as the abrogation of faculty members’ governance prerogatives in the promulgation of the sanctions policy—and they will surely object to its implementation by President Faust and the Corporation today. (Read extended accounts of the faculty debates here  and here .) Others, as a practical matter, wondered how the College would respond to possible adaptations by the USGSOs themselves: adopting membership policies that appear to be inclusive (whether or not the actual composition of the member cohort changes); or granting undergraduates some sort of affiliate status, with formal membership vesting after graduation.